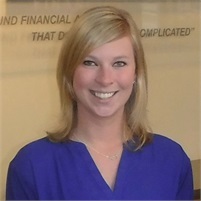 Codi Vant Voort joined Diversified Financial Concepts in 2015. As an Administrative Sales Assistant, Codi brings over 10 years of administrative and clerical experience with her to provide the highest level of customer service with a go to attitude. With her attention to detail and outgoing personality, Codi is a great addition to the Diversified Financial Team. Codi is also a licensed Massage Therapist, after high school she attended Health Enrichment School of Therapeutic Massage. After a couple years working in a salon Codi returned to the office environment as a line supervisor at Vention Medical then an administrative assistant at Repocast.com. Codi has lived in western Michigan her whole life. When she is not chained to her desk, Codi loves to travel the world as much as possible. If she’s not spending time with family and friends on their boat at Keenan in Grand Haven she enjoys fishing and hunting.